Thoroughly encapsulating J Sheeky�s is arguably �along with Caprice holdings� other maritime venture Scott�s of Mayfair- the best seafood restaurant in the city. 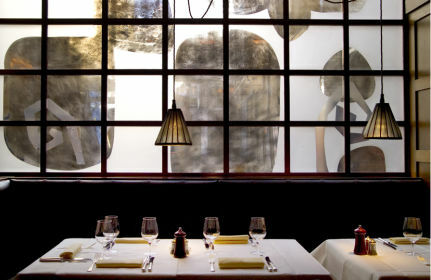 A list clientele, clubby bustling interiors and an unpretentiousness ill-afforded institutions of this ilk anywhere else makes it a winner before the menu even arrives at your table. When it does however it�s clear what all the hype is really about. A broad menu incorporates the signature salmon fishcakes and fish pie alongside some more exotic dishes like Thai-Style tiger prawn and monkfish curry and inventive specials like Pork Belly and monkfish cheeks. The caprice holdings high standard of service is adhered to at all times by a front of house staff that are an archetype of professionalism and courtesy. The wine list is rich in variety and price range and offers the perfect accompaniment to what will undoubtedly be an affair to remember.